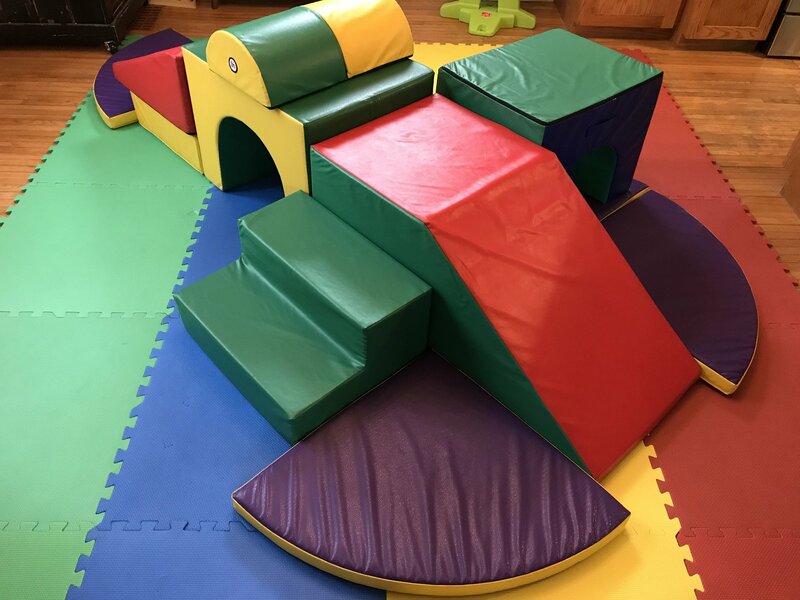 The Mini Gym Obstacle Course is perfect for small children for tumbling, creating their own circuit and using their imaginations. It comes complete with several gymnast pieces, including a slide, two tunnels, a circle, a wedge and more. The gym also includes soft play foam mats for safe playing.